Unique holiday that involves food? Count us in! A couple of years ago a friend alerted me to this yearly phenomenon called Pi Day. At first I thought, “Yeah, finally a day to celebrate pie! How cool is that?” Then I noticed the spelling. Wait, a minute that is NOT how you spell pie. After some research, I found out all about Pi Day. “Pi Day is celebrated on March 14th (3/14) around the world. Pi (Greek letter “π”) is the symbol used in mathematics to represent a constant — the ratio of the circumference of a circle to its diameter — which is approximately 3.14159” –excerpt taken from the official Pi Day website. Oh, that Pi! It has it’s own day? We still celebrate Pi Day with actual pie, but there are lots of other ideas to explore this mathematical concept. Let’s get to the yummy stuff first! Make a pie! Your favorite one(s)—blueberry, cherry cheesecake, chocolate… Go ahead you have an excuse. It’s for educational reasons. Most years, I make pizza Pi for lunch. My kids love it! Write a story where the digits of Pi determine the word length. For example, the first word in your story would have three letters. The second word, one letter and so on. This will really get your kids thinking! Make a Pi bracelet. Basically, assign each digit 0-9 a color and alternate those according to the order of the digits that represent Pi. Here is a great free printable that takes you and your students through the activity. Have a Pi Poster contest. 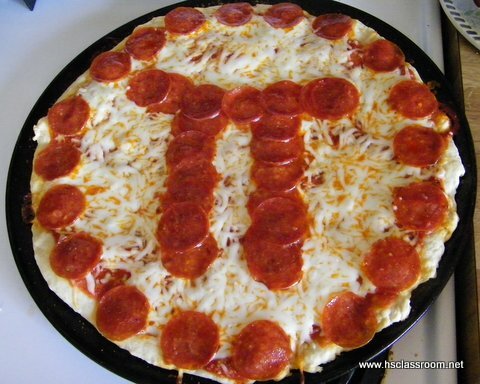 See how creative your students can get while making a poster to celebrate Pi. Construct a paper chain and write a digit of Pi on each link. I love the variety of free resources for Pi Day found at Teachers Pay Teachers. Pi recitation. Students compete to be the person that can memorize and recite the most digits of Pi. Do the math! 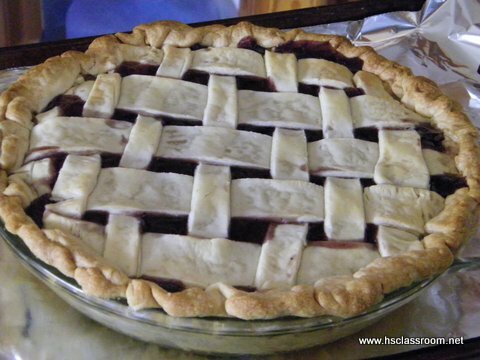 Have various size circles (or pies) for students to calculate the area and circumference. Take a survey and make a “Pi”e graph. Eat Pie, lots of pie! Wait, I think I already covered the eating part. Oh well, you can never have too many reminders to eat pie. Be sure to share your favorite pie in the comments and any unique ways you celebrate Pi Day! Christy blogs about life and homeschooling at Eclectic Momma. You can also follow her on Facebook, Pinterest, and Twitter.